Are you an avid social network user, more interested in Tweeting than actually ‘talking’ to people? If you are, you’re probably uninterested in typical safety notices, the boring ones, telling you about what to do if someone has an accident or if there’s a fire. 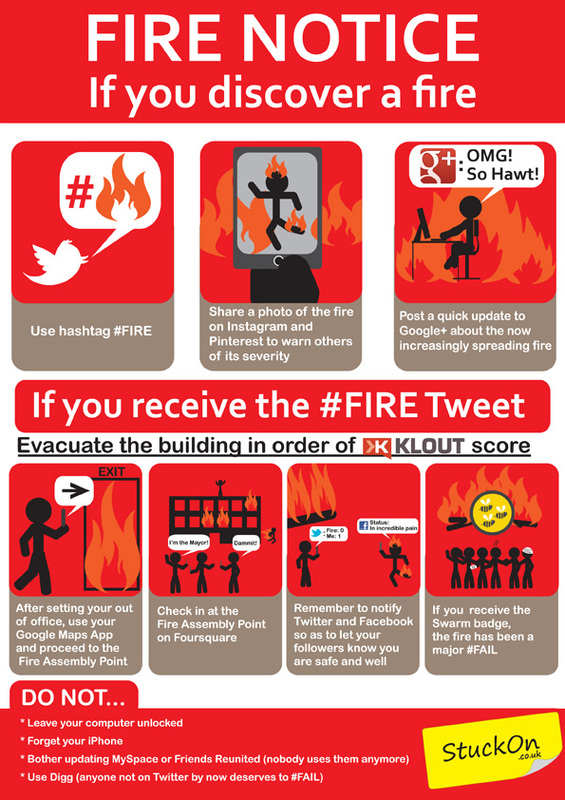 If this does sound like you (or your staff) then you’ll want this Fire Notice for Social Network enthusiasts. You can download a print quality version of the notice at StuckOn. Social Network User | Mr Daz. They will be rather effective.. I loved reading your information.